Do you think your hearing is getting worse? You can have a hearing test in Lichfield today completely free of charge. 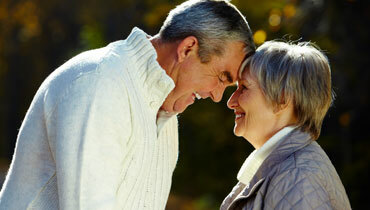 The vast majority of adults will suffer some level of hearing loss at some point in their lives. The severity of the hearing loss can vary but what is most important is that the problem is diagnosed sooner rather than later. With a free hearing test at Lichfield, our hearing aid audiologists will be able to assist you and could dramatically improve the quality of your life. We use all the latest hearing test technology at our Lichfield hearing centre to ensure you get the very best hearing consultation. What is most important is that the problem is identified as soon as possible and a hearing test is undoubtedly the best course of action to take. We offer a huge range of hearing aids from major brands such as Starkey, Widex, Oticon, ReSound and Phonak offering various designs, invisible hearing aids to small behind the ear digital hearing aids we can help improve the quality of your hearing. Getting your hearing test in Lichfield may be the best decision you ever make and you’ll be amazed with the results. In fact, we are so sure you will be satisfied that we offer a 30 day money back guarantee on all hearing aids purchased. We will simply offer helpful, impartial advice about your hearing issue and will give you all the time you need to make a decision. So, why not get your hearing test in Lichfield today? Alternatively, you can contact us here and our friendly team will be happy to help with any queries you may have.